Home » CSA Treatment Methods » Novel Therapy: Can it Cure Central Sleep Apnea? Central sleep apnea happens when the human brain is not able to send appropriate signals to the muscles that are in charge of breathing. As a result the patient either breathes shallow or pauses to breathe for short intervals during sleep. This is commonly found in people with not-so-good cardiac health. In normal health conditions, our brain monitors our pace of breathing. For instance, if it finds that carbon dioxide level in blood has gone high then it will speed up the breathing rate to bring oxygen at the right level. 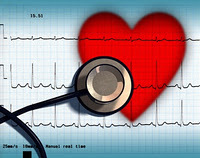 In certain types of cardiac diseases people have carbon dioxide level high at all time. In such a case, the brain starts controlling the levels of carbon dioxide, ignoring oxygen. The control of breathing also slows down resulting in a case of shallow breathing followed by too fast breathing. This can happen both in sleep and wakefulness. It is called Cheyne-Stoke breathing. It is a symptom of central sleep apnea. However, researchers have found administration of novel therapy can improve of cardiac health of patients of central sleep apnea and decrease fatal risks. What does Novel Therapy Do? In novel therapy the nerve that controls the diaphragm, is stimulated. This normalizes the breathing in people ailing from cardiac problems and central sleep apnea. The research was conducted by Shahrokh Javaheri, professor emeritus of medicine at the University of Cincinnati. Javaheri found that patients, who were administered with one night phrenic nerve stimulation without any other therapeutic intervention, exhibited a remarkable improvement in their breathing rate. The therapy acts like a pacemaker for the nerve. It reduces the number of times of shallow breath or total pause. It improved blood oxygenation levels while sleeping. Is Novel Therapy Better than CPAP Masks? Researchers acknowledge that the best treatment for patients of central apnea with cardiovascular problems is Continuous Positive Airway Pressure (CPAP) device. Surveys have inferred that CPAP has been successful in suppressing central sleep apnea and in bettering cardiovascular health. 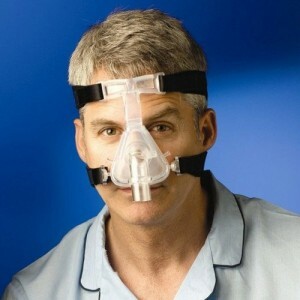 But it has also been found that most patients have reported discomfort with CPAP masks. They cannot sleep with a nasal mask the entire night. It is here that novel therapy can prove really useful. According to Javaheri, this therapy unlike CPAP could be well tolerated by patients, but he also mentions that it merits more research that will show the clinical after-effects of giving long-term phrenic nerve stimulation, if any, in patients of cardiac failure and central sleep apnea. I hope this article on novel therapy was helpful to you and wish you luck in getting rid of breathing troubles during sleep.